Well we have been working on this for a year or so now. After years working on the brand communications for Calon Wen, we have developed a new series of packaging for Milk and soon to be Butter, (there might even be a few more things as well). The project has been interesting for us mainly due to the project being a genuine brand development project. It is quite rare to get these as normally they are a total re-brand or it's a start-up with no visual language. So to develop a brand and it's message while not alienating the already existing market. So what about Calon Wen? what were they changing? With the recent recession 'Organic' products have suffered. Perceived luxury products are always going to have a hard time in a shrinking economy, in particular products that are seen as everyday (like milk). So we had to develop Calon Wen beyond being organic and provided a richer story that was based on people. The labels themselves are a small micro-representation of this. 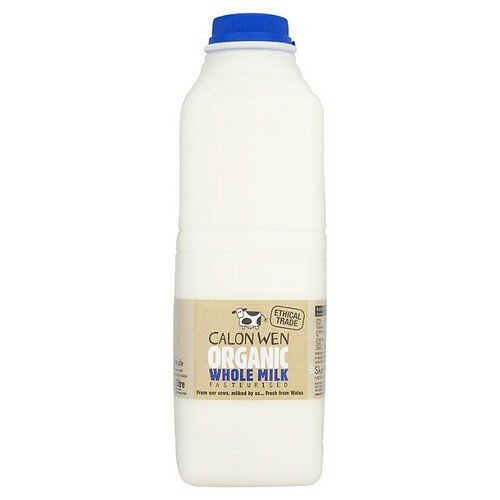 The previous labels were highly successful however 'ORGANIC' was over powering in comparison to the brand name. Also the fun playful element of the cows was limited to being in a traditional stamp design above the name. So the cow's have been integrated into a scene that allows for a richer and more engaging label. Finally the roundel that we have developed for the other products such as Cheese has been incorporated into the label. 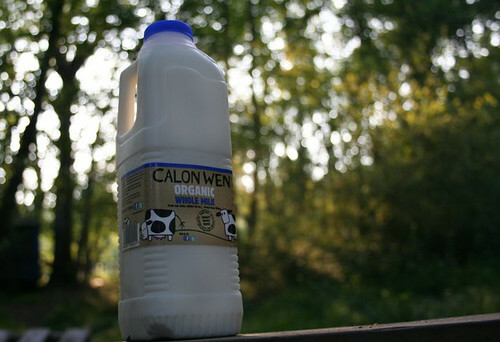 The story of family farms being for us a hugely important in who Calon Wen are and what they are about. This was kind of lost within the sides of the Calon Wen story and label so we wanted to bring this to the front. Above you can see the new label and below the older version. It would be great to hear peoples thoughts on the labels and thinking behind it. You can also visit the Calon Wen facebook page to see a lot more of the work we have been doing.